To help in planning of course! In an earlier post, I talked about the importance of proper planning before undertaking work on a designated historic resource. Throughout my career, I have discussed, planned and observed many different types of projects involving modern and historic buildings. I have worked on simple maintenance projects, such as roof replacements or re-painting, and more elaborate ones, such as restorations and additions. Providing advice to heritage building owners is the most enjoyable part of my work as a conservation adviser. Nevertheless, the size and scope of some projects are quite large. Buildings are made of a variety of materials, like stone, brick and wood. Skilled tradespeople, such as masons, carpenters and electricians know how to care for each material (or building system). Historic building conservation usually draws on the expertise of an exceptionally wide variety of skilled tradespeople. Making a plan to address problems with any major component requires a group of skills that only architects possess. This is why architects can be so helpful. A project’s size or complexity should not discourage you. I recommend hiring an architect to help identify, prioritise, and cost the required conservation work on any large project. The architect’s report, often called a “conservation plan,” is invaluable. The plan will explain the problem, propose possible solutions and is a useful reference should the work need to be phased out over time. Hiring an architect is just like hiring any other professional: just as some contractors are not familiar with the principles of heritage conservation (described in The Standards and Guidelines for the Conservation of Historic Places in Canada), some architects are not skilled in this area either. Fortunately, my fellow Heritage Conservation Advisers and I can help you plan a heritage conservation project (call us), which can include advice on how to hire the right architect. Although hiring architects cost money, the benefits make it worthwhile. Architects know how to analyse a building for problems, they can propose creative solutions and help you select and supervise the right tradespeople. This is why architectural and engineering services have their own grant category within the Alberta Historical Resources Foundation’s Historic Resource Conservation program. Not all projects or interventions require the services of an architect, but having the planning and scope of work established by contractors alone on large projects can lead to a bad outcome. Having a uniform and properly outlined conservation plan developed by an architect (or engineer, depending on the problem) makes it easier for conservation advisers to approve projects and for contractors to provide accurate cost estimates. Don’t feel overwhelmed by large conservation projects. It’s true what Steve Smith said at the end of every episode of his Red Green Show. 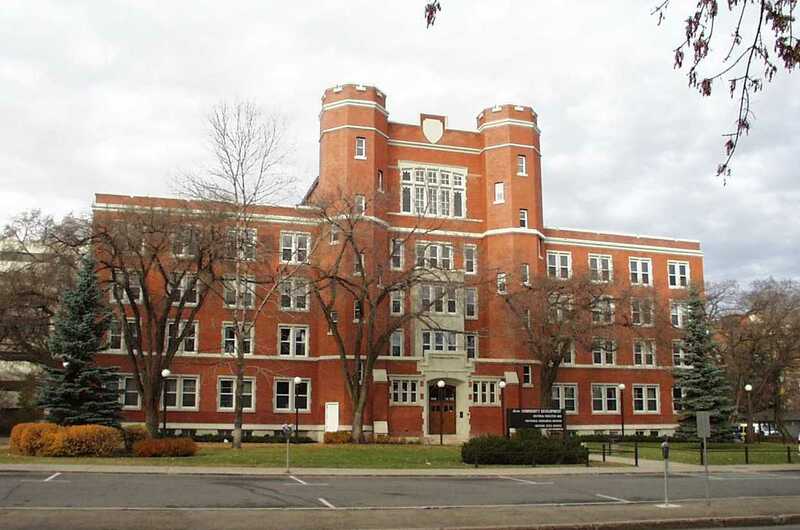 Regular readers of RETROactive will know that owners of designated historic resources listed on the Alberta Register of Historic Places are eligible to apply for matching grants for approved conservation work. The regular deadlines for owners of designated properties to apply for these grants are February 1st and September 1st. That means that the next grant application deadline is fast approaching! But this year, for many Albertans, has been very different. We know that many historic places have been seriously affected by flooding. In addition, some municipalities which have been severely impacted have had to push back scheduled processes, which, under normal conditions, would have already seen new Municipal Historic Resources designated. As a result, the Alberta Historical Resources Foundation has extended its upcoming deadline for applications for Historic Resource Conservation grants, for flood-impacted applicants only. Applications from owners of flood-affected, designated historic properties will be received until September 30, 2013. In addition, flood-impacted properties that have been formally evaluated and are currently in the process of being considered for Municipal Historic Resource designation, but may not have completed the process, will be deemed as eligible, and are also encouraged to apply. The regular funding deadline of September 1, 2013 still applies to all non-flood-affected properties. If you have any questions relating to the Alberta Historical Resources Foundation’s grant programs, and the upcoming grant deadline, please contact Carina Naranjilla, Grants Program Coordinator at (780) 431-2305 or by email: Carina.Naranjilla@gov.ab.ca. If you have any questions relating to the Municipal Historic Resource designation process, please feel free to contact Matthew Francis, Manager of Municipal Heritage Services, at (780) 438-8502 or by email at Matthew.Francis@gov.ab.ca. Vulcan County, the Town of Vulcan and the Village of Champion are once again working together (you might even say they’ve federated) to conserve their shared heritage. With the aid of a Municipal Heritage Partnership Program grant, they will create a heritage management plan over the next year. Dedicated readers may recall that these three communities (along with the Villages of Carmangay and Milo) surveyed and inventoried several historic resources last year. They identified several places of interest—sites that warrant further evaluation due to their probable historical or architectural significance. Vulcan’s HAB has already confirmed that many of are significance—that is, they somehow physically embody some aspect of Vulcan’s history. Knowing that they have several sites that are significance and have integrity, the Vulcanites have turned their attention to figuring out how to protect their locally significant historic resources. That is why they have chosen to develop a heritage management plan. During the next year, they will develop a policy and process to designate locally significant historic resources. Many locally significant sites will be designated as Municipal Historic Resources. The management plan will lay out the application process and how each municipality will decide what to designate. This will include determining what types of sites they will designate, how the consent of the owner (to designation) will be obtained how the public will be consulted. It will ensure that each proposed designation will be evaluated for historical or architectural significance. This significance will be written down as a statement of significance. The management plan will also lay out how permits to alter a Municipal Historic Resources will be processed. This involves creating an application process. A proposal to alter a site should describe what is being proposed and why. The municipality then needs to evaluate the proposed change using the Standards and Guidelines for the Conservation of Historic Places in Canada. The plan will identify who will process these permits and propose a means of training these agents in the use of the Standards and Guidelines. The final step will involve exploring what incentives each municipality could offer to encourage the owners of Municipal Historic Resources to conserve them. A successful municipal heritage conservation programs recognizes the need to assist the owner of historic places with the cost of their conservation. The incentive could be grants or tax credits. Any program or service that defrays the cost of operating a property work as incentives too. (You can read Managing Historic Places: Protection and Stewardship of Your Local Heritage for more on heritage management planning). I’m looking forward to working with Vulcan on this project. When it is done, they will join a select few communities that have completed a survey, inventory and management plan with our assistance. The Vulcans will soon be well poised to protect and conserve their historic places and we’ll all be richer for it. Come work with us – help create a future for Alberta’s historic places! Do you have a keen interest in conserving historic places? Do you enjoy travelling across Alberta, and meeting new people? We are looking for a new Municipal Heritage Services Officer to join our team. This is a meaningful career opportunity where you can put your education and passion for heritage to work in a meaningful way. The Historic Resources Management Branch is seeking an energetic individual to provide a full suite of heritage advisory services to municipalities and communities. You will be joining a dynamic team working to conserve designated historic places in Alberta. The Municipal Heritage Services Officer connects stakeholders with the services of the Municipal Heritage Partnership Program and the Alberta Main Street Program. If you are a heritage professional, an effective communicator, highly organized and a collaborative problem-solver, this opportunity is for you. Online applications are preferred. To apply online, please visit https://www.jobs.alberta.ca/. For more information, please contact ctpr.jobpostings@gov.ab.ca.